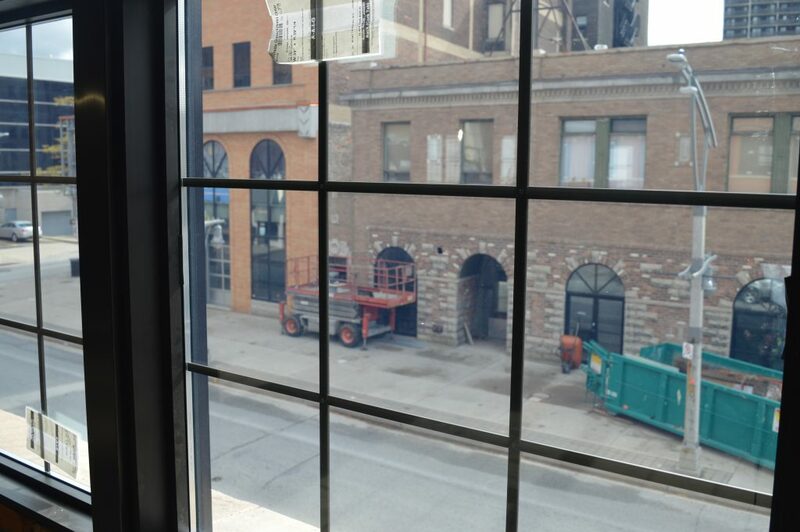 A construction worker installs a window at the former downtown Windsor Fish Market, the future home of Quicken Loans, on October 15, 2018. Photo by Mark Brown/Blackburn News. A financial company credited with helping the rebirth of downtown Detroit will soon make its Canadian debut. The city of Windsor announced Monday that Detroit-based Quicken Loans, owned by billionaire Dan Gilbert, will be moving its first Canadian offices to downtown Windsor next spring. The company will take up residence in the former downtown Fish Market at the corner of Chatham Street West and Ferry. 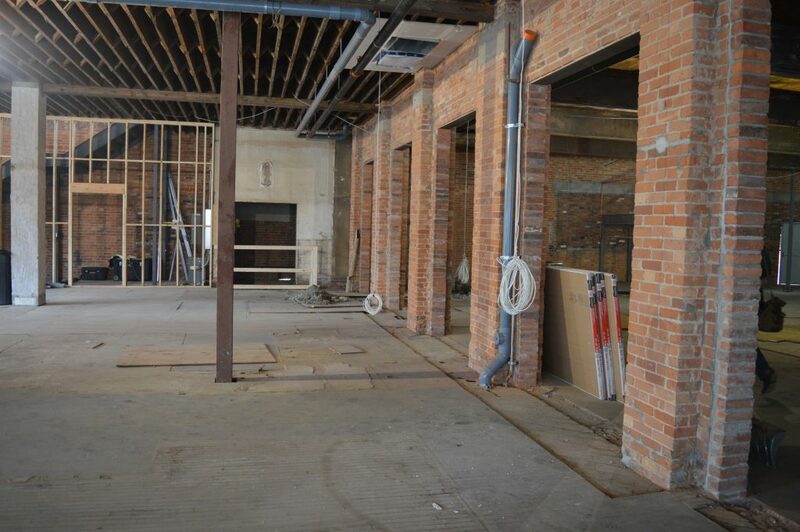 This will be a technology centre for Quicken Loans, which is the largest U.S.-based home lending company. 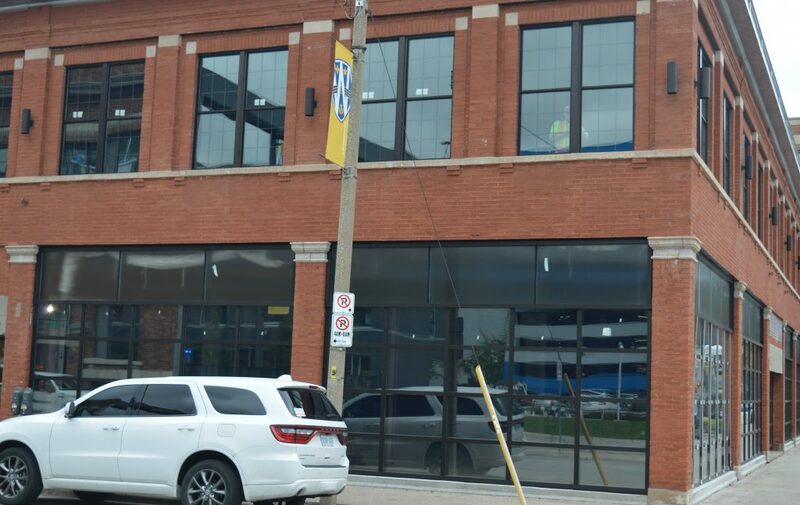 The transformation of the former Fish Market into the first Canadian-based Quicken Loans office is the latest development brought on by the city’s downtown Community Improvement Plan (CIP). The entry of Quicken Loans into the Windsor market was the result of a business partnership with the city of Detroit that began after their joined bid for a second Amazon headquarters was not approved. The partnership soon after submitted their CIP application to the city to redevelop the Fish Market building with the intention of bringing Quicken Loans to that location. 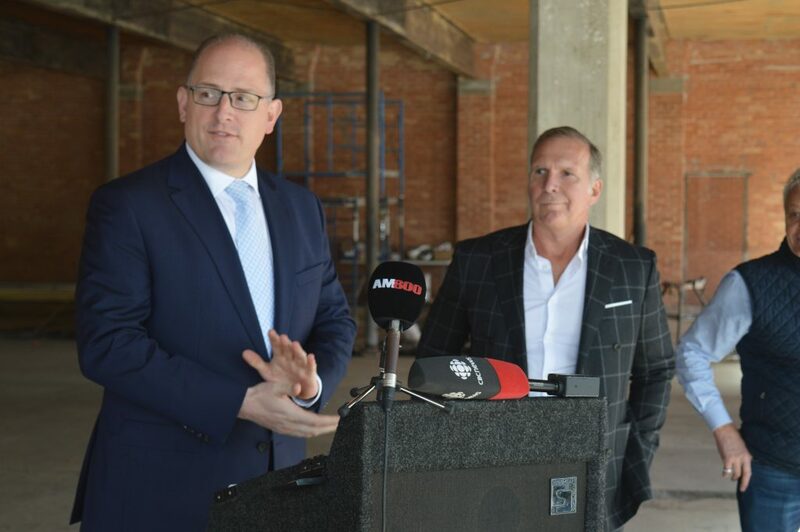 The announcement was made by Mayor Drew Dilkens and investor Brian Schwab with his wife Lisa. The mayor said the project will be made possible by a collaboration with the building’s owners, the city of Detroit and Quicken Loans. Also on hand were developers Dino Maggio and Anthony Maggio, who are currently working to redevelop the building into an office space. Schwab said he has been watching how the Quicken Loans headquarters has transformed the Motor City’s core and taken it to another level, and he is anxious to see it happen in Windsor. The 9,000 square foot space, which had most recently housed a bar and had been sitting vacant for at least two years, will bring about 50 to 100 employees to the building by March 2019 with the possibility of more. 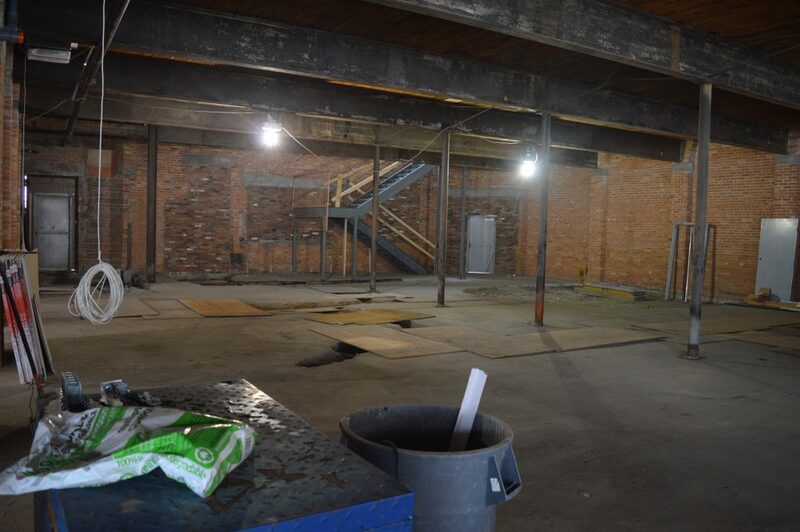 Two complete floors of the building are being redeveloped with a lower level to be used for storage. The Chatham Street W. section of downtown Windsor has seen significant development over the past few years, with St. Clair College and the University of Windsor showing a presence, and the former City Beer Market also under renovation, across the street from the Fish Market. Dilkens told reporters at a media event Monday afternoon that it was parking that helped seal the deal. The city will provide Quicken Loans with 75 spaces in the core’s two largest parking facilities, on Goyeau Avenue and Pelissier Street.